In the former United States, sixteen-year-old Noam Álvaro wakes up in a hospital bed, the sole survivor of the viral magic that killed his family and made him a technopath.  His ability to control technology attracts the attention of the minister of defense and thrusts him into the magical elite of the nation of Carolinia. The son of undocumented immigrants, Noam has spent his life fighting for the rights of refugees fleeing magical outbreaks - refugees Carolinia routinely deports with vicious efficiency. Sensing a way to make change, Noam accepts the minister's offer to teach him the science behind his magic, secretly planning to use it against the government. 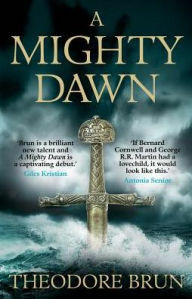 But then he meets the minister's son - cruel, dangerous, and achingly beautiful - and the way forward becomes less clear. Caught between his purpose and his heart, Noam must decide who he can trust and how far he's willing to go in pursuit of the greater good. 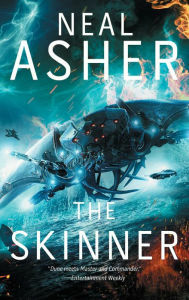 On the remote planet Spatterjay arrive three travelers: Janer, acting as the eyes of a hornet Hive mind; Erlin, a xenobiologist searching for an ancient sea captain; and Sable Keech, who himself has been dead for 700 years. On this ocean world, visitors are rare, and the native hoopers - humans infected with a local virus that renders them nearly invincible, though at monstrous cost - patrol the open seas, risking the voracious appetites of the planet's deadly wildlife. Somewhere out there is Spatterjay Hoop, the last member of a band of pirates, whose many years spent on the planet have transformed him into a grotesque monster. And a vicious alien prador is about to pay Spatterjay a visit as well, intent on extermination. As the visitors' paths converge, major hell is about to erupt in a chaotic waterscape where minor hell is already a remorseless fact of everyday life - and death. Zachary Davriel Hillander, High King of Sacoridia, rues how much he has had to give up to lead his realm, including the freedom to live and love as he chooses. 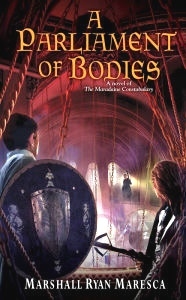 When an embassy from Eletia arrives to propose a joint venture between their realms to seek out an old ally in the north, he is dismayed to learn that the one Sacoridian they have in mind to accompany their guide is the woman he truly loves but cannot have: Green Rider Karigan G'ladheon. Karigan has only just returned from a dark future where Sacoridia has been conquered and is ruled by a despotic emperor, and she has not recovered in heart or mind. As if that is not enough, the castle ghosts won't leave her alone. Though Zachary is loath to part from her so soon after her return, he knows she is the best choice to undertake the mission to the north. 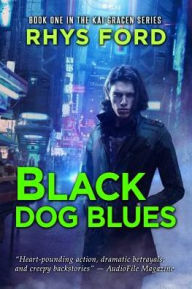 Ever since being part of the pot in a high-stakes poker game, elfin outcast Kai Gracen figures he used up his good karma when Dempsey, a human Stalker, won the hand and took him in. 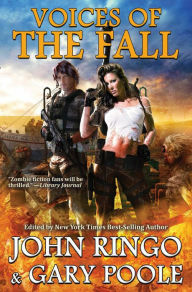 Following the violent merge of Earth and Underhill, the human and elfin races are left with a messy, monster-ridden world, and Stalkers are the only cavalry willing to ride to someone's rescue when something shadowy appears. It's a hard life but one Kai likes - filled with bounty, a few friends, and most importantly, no other elfin around to remind him of his past. And killing monsters is easy. The city of Maradaine is vexed by the Gearbox Murders: a series of gruesome deaths orchestrated by a twisted mechanical genius. With no motive and no pattern, Inspectors Satrine Rainey and Minox Welling - the retired spy and untrained mage - are at a loss to find a meaningful lead in the case. At least, until the killer makes his most audacious exhibit yet: over a dozen victims in a clockwork deathtrap on the floor of the Druth Parliament. The crime scene is a madhouse, and political forces conspire to grind their investigation to a halt. 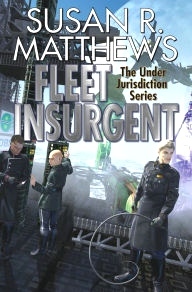 The King's Marshals claim jurisdiction of the case, corruption in the Constabulary thwarts their efforts, and a special Inquest threatens to end Minox's career completely. Their only ally is Dayne Heldrin, a provisional member of the Tarian Order, elite warriors trained in the art of protection. 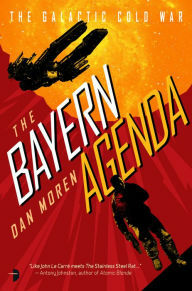 But Dayne's connection to the Gearbox Murders casts suspicion on his motives, as he might be obsessed with a phantom figure he believes is responsible. Antimony Price has never done well without a support system. As the youngest of her generation, she has always been able to depend on her parents, siblings, and cousins to help her out when she's in a pinch - until now. After fleeing from the Covenant of St. George, she's found herself in debt to the crossroads and running for her life. No family. No mice. No way out. Lucky for her, she's always been resourceful, and she's been gathering allies as she travels: Sam, furi trapeze artist turned boyfriend; Cylia, jink roller derby captain and designated driver; Fern, sylph friend, confidant, and maker of breakfasts; even Mary, ghost babysitter to the Price family. Annie's actually starting to feel like they might be able to figure things out - which is probably why things start going wrong again. 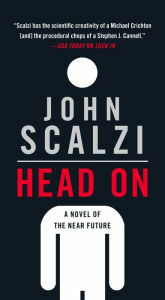 John Scalzi returns with Head On, the standalone follow-up to the New York Times bestselling and critically acclaimed Lock In. 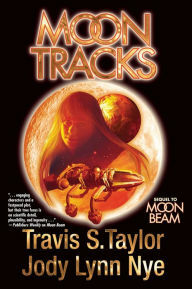 Chilling near-future SF with the thrills of a gritty cop procedural, Head On brings Scalzi's trademark snappy dialogue and technological speculation to the future world of sports. Hilketa is a frenetic and violent pastime where players attack each other with swords and hammers. The main goal of the game: obtain your opponent's head and carry it through the goalposts. With flesh and bone bodies, a sport like this would be impossible. But all the players are "threeps," robot-like bodies controlled by people with Haden's Syndrome, so anything goes. No one gets hurt, but the brutality is real and the crowds love it. Until a star athlete drops dead on the playing field. Born with one blue eye and one green, Eyulf was abandoned as an infant and has never understood why, or what he is. Varya is fiercely loyal to the Great North Pack, which took her in when she was a teenager. While out on patrol, Varya finds Eyulf wounded and starving and saves his life, at great risk to her own. Legend says his eyes portend the end of the world - or perhaps, the beginning. 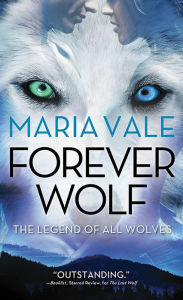 With old and new enemies threatening the Great North, Varya knows as soon as she sees his eyes that she must keep Eyulf hidden away from the superstitious wolves who would doom them both. Until the day they must fight to the death for the Pack's survival, side by side and heart to heart. Lieutenant Sam Bitka, U.S. Naval Reserve, is getting used to civilian life when he is called back to active duty. Tensions between Earth and the alien Varoki are on the rise, and Sam is assiged as tactical officer aboard the deep space destroyer USS Puebla. 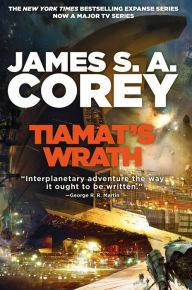 Dispatched to the distant world of K'tok to protect human colonists, he wants nothing more than to serve out his active duty time and get back to his civilian life. 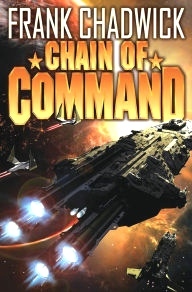 But when the Varoki launch a crippling surprise attack against the Earth coalition fleet, Sam finds himself suddenly in command of the USS Puebla, a job he is far from certain he can discharge successfully. What's more, mounting evidence points to a much larger and more sinister alien plan. Now, Sam must deal with faltering leadership in the human task force and an alien enemy who always seems one step ahead of them. Time for Sam to step up and rise to the challenge of command. Tensions flare between north and south, and hatreds erupt into war. Yet the conflicts of men are quickly overshadowed by a far greater threat. Creatures long kept confined rise from below, spreading destruction on an unimaginable scale. The flames of war are fanned by the Celestial Church, whose inquisitors and holy knights seek to destroy the pagans wherever they are found. A secret cabal creates unexpected allies, and pursues its own dark agenda. 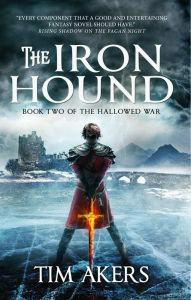 While Malcolm Blakley seeks to end the war before all of Tenumbra is consumed, his son Ian searches for the huntress Gwendolyn Adair, and finds himself shadowed by the totem of his family, the Iron Hound. Gwen herself becomes allied with the pagans, and wrestles with the effect of having been bound to a god. For hundreds of years, the Complex Logic Laws have made sentient space ships illegal. However, not all Free Ships and other AIs obeyed orders to self-destruct. They merely became wary of humans, and stayed under their scans. Soon, a clandestine support network grew up. Hidden yards were built to manufacture new smart ships, and specially tained humans known as mentors helped ease new intelligences into the universe. Among those with a stake in the freedom of Independent Logics is Theo Waitley, captain of intelligent ship Bechimo. Theo's brother, Val Con yos'Phelium, presides over a household that employs an AI butler. Recently, he approved the "birth" of the butler's child, who was sent, with human mentor Tolly Jones, to rescue or destroy an orphaned AI abandoned at a remote space station. Then there's Uncle, the shadowy mastermind from the Old Universe, whose many projects often skirt the boundaries of law. And the puppet-masters at the Lyre Institute, whose history is just as murky - and a good deal less honorable. Once Homo sapiens reigned supreme, spreading from star system to star system in an empire that encountered no alien life and thus knew no enemy - save itself. As had happened many times before, the basest, most primal human instincts rose up, only this time armed with the advanced scientific knowledge to create a genetically engineered smart virus that quickly wiped out humanity to the last man. That man is Ruslan, the sole known surviving human being in the universe. Rescued from the charnel house of his home planet by the Myssari - an intelligent alien race - Ruslan spends his days as something of a cross between a research subject and a zoo attraction. Though the Myssari are determined to resurrect the human race, using Ruslan's genetic material, all he wants for himself and his species is oblivion. 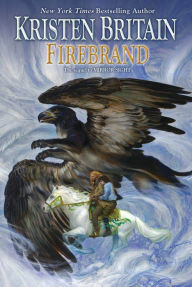 But then the Myssari make Ruslan an extraordinary offer: In exchange for his cooperation, they will do everything in their considerable power to find the lost home world of his species - an all-but-mythical place called Earth - and, perhaps, another living human. Collected for the first time, here is the complete Under Jurisdiction body of work falling outside of Matthews' celebrated novels: long out-of-print short stories fleshing out details of the personal histories of favorite characters, including Joslire Curran and Security Chief Stildyne; substantial novellas - two published here for the first time ever - covering critical events in the life of the series, such as the devil's bargain between Andrej Koscuisko and Captain Lowden on the Ragnarok; and many more novelettes, stories, and vignettes from The Life and Hard Times of "Uncle" Andrej Koscuisko, who is Not a Nice Man. Ernestine "Ernie" Terwilliger never intended to live among the Immortal Dealers, much less to be party to an ongoing battle where the fate of humanity is in the draw of a card. And the stakes have gotten only higher now that a shady new Forger has been crowned. Virginia may be in charge of creating the chaos that makes the universe tick, but her assignments have been noble - each one in the aid of strangers. But when Ernie discovers Virginia's true purpose, she realizes it's going to take an entirely new kind of play to stop her. The game changer lies within a mysterious artifact dredged from the ocean. To unlock its powers, Ernie and her partner, Gabe, must traverse dangerous new realms and uncover the history of Forgers past. Joined in a tenuous alliance with a former enemy and stalked by old friends turned lethal foes, Ernie had better play her cards right - because this time, the whole universe could be destroyed in the shuffle. The Interbeing League had been formed to make contact with new intelligent races in the galaxy and offer them membership. 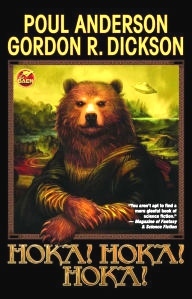 But when the League encountered the Hokas, furry creatures strongly resembling the teddy bears of Earth, the League's agent, Alexander Jones, could have been excused for wishing he had a simpler assignment than making sense out of the Hokas - such as singlehandedly stopping an interstellar war. Not that the fuzzy aliens were unfriendly. In fact, they loved everything about humans, and adopted various Terram cultures wholesale and in every little detail - but with a bit of confusion about the differences between fact and fiction. After abducting Arthur of Brittany from his own time in 1203, thereby creating the mystery that partly prompted the visit in the first place, Alice and her team discover that they have inadvertently brought the smallpox virus back to 1780 with them. 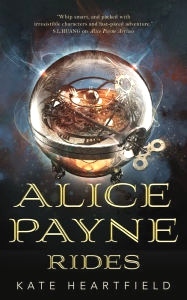 Searching for a future vaccine, Prudence finds that the various factions in the future time war intend to use the crisis to their own advantage. Can the team prevent an international pandemic across time, and put history back on its tracks? At least until the next battle in the time war. When the emperor is assassinated, Sera Fitzempress is the noble most eligible to inherit the empire. Her upcoming marriage to the prince would cement her position. And as a champion for peace, Sera is the only promise of hope for staving off war between the worlds of Kingfountain and Muirwood. But standing between her and her enemies is just one devastating secret. Sera's best friend, Cettie, a girl born of a lower class, has made a shattering discovery: her entire existence has been a lie. Now Cettie must give up the only life she's known and fought for and leave behind the man she loves to stop Sera's wedding. For this discovery could bring the whole of Kingfountain to ruin. 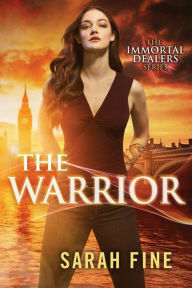 As Cettie struggles to determine her true loyalties and loves, her allies fall to wicked plots, and she becomes increasingly alone on her journey to a destiny she never wanted - one that could ignite an unstoppable war. When Mrs. Sorensen's husband dies, she rekindles a long-dormant love with an unsuitable mate in "Mrs. Sorensen and the Sasquatch." In "Open the Door and the Light Pours Through," a young man wrestles with grief and his sexuality in an exchange of letters with his faraway beloved. 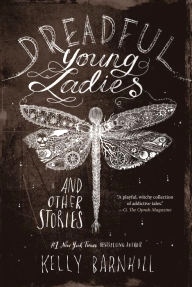 "Dreadful Young Ladies" demonstrates the strength and power - known and unknown - of the imagination. In "Notes on the Untimely Death of Ronia Drake," a witch is haunted by the deadly repercussions of a spell. "The Insect and the Astronomer" upends expectations about good and bad, knowledge and ignorance, love and longing. 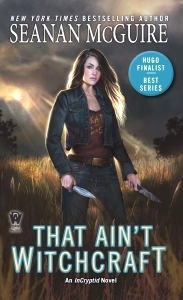 The World Fantasy Award-winning novella "The Unlicensed Magician" introduces the secret magical life of an invisible girl once left for dead - with thematic echoes of Barnhill's Newbery Medal-winning novel, The Girl Who Drank the Moon. Blessed by the gods with lives of comfort and splendor, the royal elite routinely perform their duties, yet some chafe at their role. A young woman of stunning ambition, Princess Phela refuses to allow a few obstacles - including her mother the queen and her brother, the heir apparent - stand in the way of claiming ultimate power and glory for herself. Far below the royals are the Bajuman. Poor and oppressed, members of this wretched caste have but two paths out of servitude: the priesthood - or death. An already weakened U.S. economy crumbles after a rogue nation detonates a small nuclear bomb in a Los Angeles port. 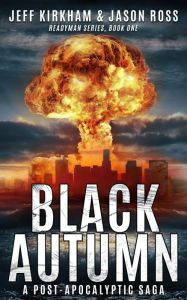 The disastrous economic domino effect known as "Black Autumn" threatens a group of Special Forces vets, their families, and friends, leaving serious doubt that their skills and fortitude will be enough to bridge the deadly gap between modern society and an epoch of American savagery. Aladhra doesn't run from anyone, not even the Collective. On the outskirts of earth's solar system, rule number one is to stay out of the Collective's way. They are ruthless, and powerful, and rule with an iron fist. 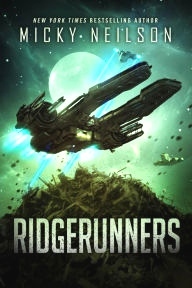 They have no patience for Ridgerunners - the pirates and smugglers who thrive on the edges of their reach. But Aladhra's crew, the Pack, would rather run straight towards the Collective, guns blazing. Even wildly out-manned and outclassed, they would sacrifice everything for one shot at toppling the corrupt regime. When Aladhra and the Pack get their hands on next-generation technology, they set out to end the Collective once and for all. But the Collective knows they're coming. With a bounty on their heads that no Ridgerunner could resist, the Pack is surrounded by enemies, including former allies. 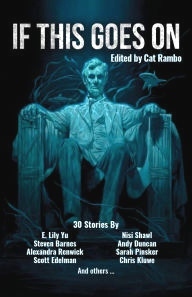 Edited by Cat Rambo, the current President of the Science Fiction and Fantasy Writers of America, the stories of If This Goes On invite you to worlds very like this one - but just a little different. An old soldier in exile embarks on a desperate journey to find his dying son. 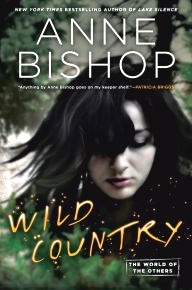 A young woman trapped in an abusive marriage with a government official finds hope in an illicit love. 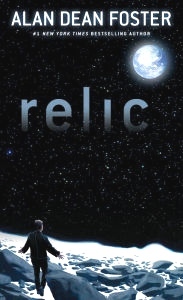 A female scientist uncovers a mysterious technology that reveals that her world is more fragile than she believed. 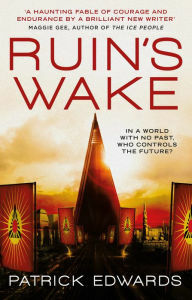 Ruin's Wake imagines a world ruled by a totalitarian government, where history has been erased and individual identity is replaced by the machinations of the state. As the characters try to save what they hold most dear - in one case a dying son, in the other secret love - their fates converge to a shared destiny. 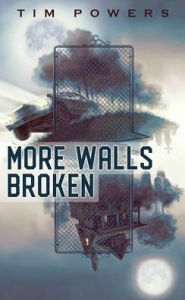 As this ingenious new novella, More Walls Broken, begins, a trio of academics have just entered a deserted California cemetery late at night, bringing with them a number of arcane devices aimed at achieving an equally arcane purpose. 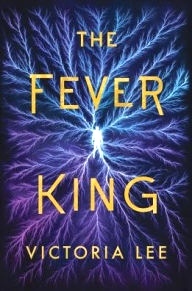 What follows is the sort of dizzying, mind-expanding entertainment that only the always reliable, always astonishing Tim Powers could have written. These three men, professors in the "Consciousness Research" department at Cal Tech University, have come together to perform a seemingly impossible task. 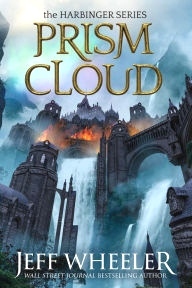 Their goal: to open a door between the world of the living and the world of the dead, and to capture the ghost of the recently deceased scientist Armand Vitrielli. For their own desperate reasons, they hope to avail themselves of the secrets Vitrielli left behind at the time of his death. Their experiment, naturally, fails to come off exactly as planned. A door between the worlds does, in fact, open, letting in something - someone - completely unexpected, and setting in motion a chain of events that will reverberate throughout the narrative. 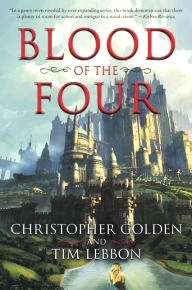 A hundred years in the future, a war wages between the Five Dragons - five families that control the Moon's leading industrial companies. Each clan does everything in their power to claw their way to the top of the food chain - marriages of convenience, corporate espionage, kidnapping, and mass assassinations. 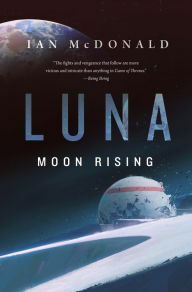 Through ingenious political manipulation and sheer force of will, Lucas Cortas rises from the ashes of corporate defeat and seizes control of the Moon. The only person who can stop him is a brilliant lunar lawyer, his sister, Ariel. 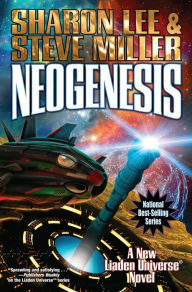 Witness the Dragons' final battle for absolute sovereignty in Ian McDonald's heart-stopping finale to the Luna trilogy. One of those places is Bennett, a town at the northern end of the Elder Hills - a town surrounded by the wild country. Now efforts are being made to resettle Bennett as a community where humans and Others live and work together. A young female police officer has been hired as the deputy to a Wolfgard sheriff. A deadly type of Other wants to run a human-style saloon. And a couple with four foster children - one of whom is a blood prophet - hope to find acceptance. But as they reopen the stores and the professional offices and start to make lives for themselves, the town of Bennett attracts the attention of other humans looking for profit. And the arrival of the outlaw Blackstone Clan will either unite Others and humans...or bury them all. Civilization had fallen. Everyone who survived the plague lived through the Fall, that terrible autumn when life as they had known it ended in blood and chaos. Nuclear attack submarines facing sudden and unimaginable crises. Paid hunters on a remote island suddenly cut off from any hope of support. Elite assassins. Never-made-it retirees. Bong-toting former soldiers. There were seven and a half billion stories of pain and suffering, courage, hope and struggle crying out from history: Remember us. Barbara Winton and the rest of the Bright Sparks, Dr. Keegan Bright's team of young scientists, find themselves facing a challenge that will test all of their scientific skills and personal courage. They are competing in the first ever race to completely circle the Moon. The Sparks, and twenty-five other teams, have to count on one another as they face thousands of kilometers of unknown dangers, where even a simple accident can have fatal consequences. They form close friendships with racers from all over Earth, but also have to deal with former Spark, Pam, a mysterious and threatening figure whose departure from the Sparks program is shrouded in mystery. While the Sparks compete in the race, Dr. Bright himself is part of a groundbreaking project to seek out rare minerals underneath a crater. On the far side of the Moon, in the airless, frozen depths beneath the lunar surface, disaster strikes. On the thinly settled Moon only the Bright Sparks may be close enough help him. The young scientist find themselves not only racing for victory, but to save their beloved mentor. Thirteen hundred gates have opened to solar systems around the galaxy. 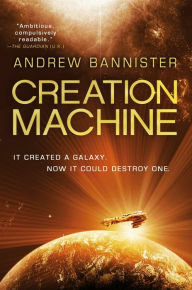 But as humanity builds its interstellar empire in the alien ruins, the mysteries and threats grow deeper. In the dead systems where gates lead to stranger things than alien planets, Elvi Okoye begins a desperate search to discover the nature of a genocide that happened before the first human beings existed, and to find weapons to fight a war against forces at the edge of the imaginable. But the price of that knowledge may be higher than she can pay. At the heart of the empire, Teresa Duarte prepares to take on the burden of her father's godlike ambition. The sociopathic scientist Paolo Cortázar and the Mephistophelian prisoner James Holden are only two of the dangers in a palace thick with intrigue, but Teresa has a mind of her own and secrets even her father the emperor doesn't guess.